For those of you who might have missed the headlines from a short post-Memorial Day week, we break down some of the major and trending news stories from the last week. 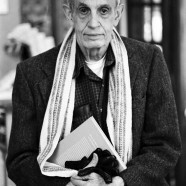 Last Sunday, the one-of-a-kind mathematician John Nash and his wife, Alicia, passed away in a car crash in New Jersey. The couple was returning home from their visit to Norway, where only days earlier, Nash had received the 2015 Abel Prize, an award given out by the Norwegian Academy of Science and Letters, for his continued studies of Mathematics. Due to his prominent contributions to the field of Game Theory, Nash won the Nobel Prize in Economic sciences in 1994. In addition to his mathematical genius, Nash was known for his life-long battle with schizophrenia, a battle famously dealt with in the 2001 film A Beautiful Mind. His death has resulted in an outpouring of sympathy from the worlds of science, entertainment and beyond. Last Tuesday, Charter Communications and Time Warner Cable announced a merger two years in the making. After originally being outbid by fellow communications giant Comcast, Charter’s attempts at bringing TWC into the fold found new life once the Comcast-TWC merger fell apart amidst regulatory concerns. Bloomberg speculates that this deal—which will bring total subscribers up to 17 million, second to Comcast’s 22, and expands Charter’s reach to major cities like New York, Los Angeles and Dallas—looks to stand a better chance up passing the FCC’s approval. If a picture is worth a thousand words, are lengthy Facebook statuses about to become a thing of the past? Probably not. Still, on Friday, Facebook introduced the addition of GIFs to its news feed, allowing users a new way to express how they’re really feeling. At the time of its release, however, GIFs are only supported on user profiles, not brand or company pages – an unfortunate turn for marketers who may have already grown accustomed to using the animated, looping images on social media platforms like Twitter and Tumblr. Facebook told AdWeek that the limited release is to ensure a smooth rollout, and they are looking into roll this feature out to Pages in the future. Jessi Kim is a Junior Executive at The San Jose Group and a Senior at Yonsei University in Seoul, South Korea where she is majoring in Business Administration. An avid chef and selfie-taker, she hopes to one day start her own fashion company. Kevin Echavarria’s interests extend well beyond simple binging sessions of Netflix or HBOGo (Though they are still one of his favorite pastimes.) He’s driven by a desire to understand our constantly evolving relationship with the media we consume.